Cannubi Boschis - the story goes that Luciano first set eyes on Cannubi Boschis (along the ridge from the original Cannubi) during his time as consultant winemaker for Barolo Marchesi di Barolo, who was at that time buying the fruit in. Luciano did the deal during the mid-'80s, securing the vineyard for himself, and for the future enjoyment by his customers! Whatever the vintage it always seems to charm with its delicious strawberry fruit aromas, detail and gentle softness; the high percentage of sand bringing warmth and sensuality to the final wine. Like a wave washing over you it coats the senses. And yes it will age for many years, till 2020; but boy does it taste good now. David Berry Green, Fine Wine Buyer Sandrone's modern slant on Barolo has produced a wine with an expressive nose of mixed red berries and spice. The palate is generous with sweet red fruits, tobacco and a touch of rosewater. Overall a superbly made wine and it will continue to develop over the next 10 years. The Wine Advocate - Sandrones 2005 Barolo Cannubi Boschis offers up pretty notes of mint, flowers, spices and dark red berries, with sweet notes of French oak that linger on the finish. This is a decidedly slender Cannubi Boschis that lacks some of the sheer pedigree and explosiveness of the best vintages. The tannins need some time to soften, but this is a wine that has continued to grow in bottle. It could very well turn out to be one of the vintages surprises. In 2005 the harvest took place at the end of September and the wine was aged in 500-liter barrels (one-third new). 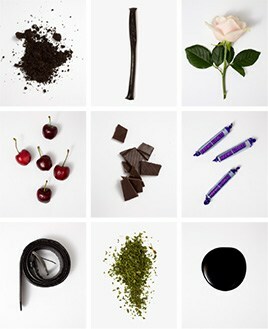 Anticipated maturity: 2011-2020. 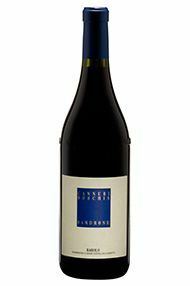 Antonio Galloni - Sandrone’s 2005 Barolo Cannubi Boschis offers up pretty notes of mint, flowers, spices and dark red berries, with sweet notes of French oak that linger on the finish. This is a decidedly slender Cannubi Boschis that lacks some of the sheer pedigree and explosiveness of the best vintages. The tannins need some time to soften, but this is a wine that has continued to grow in bottle. It could very well turn out to be one of the vintage’s surprises. In 2005 the harvest took place at the end of September and the wine was aged in 500-liter barrels (one-third new). 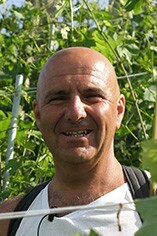 Luciano Sandrone has built up a top quality wine estate from its small-scale beginnings in 1978. He now produces over 100,000 bottles from his 22 hectares of vineyards. Sandrone's Barolo wines are made in the modern style: elegant, attractive and easy to appreciate right from its first years in the bottle, but with no less power and structure than traditional Barolos. He focuses on painfully low yields in the vineyard and subjects his wines to a relatively short maceration period in the cantina. He does not believe in heavily oaked wines and thus uses only 10% new oak in the maturation process. His best-known wines are his Barolos, Cannubi Boschis (single vineyard) and Le Vigne. They are amongst the most supple and complex Barolos being produced today and few would argue against their almost iconic status.